Is it really getting to be that time already? Summer, especially in Seattle, always seems so darn short. A couple of weeks ago I was already seeing pumpkin beers appearing on craft beer store shelves and now, here come the Oktoberfest announcements. Don’t get me wrong. I love Fall and the Seasonal craft styles that come along with it, but it’s a bittersweet reminder that the days are getting shorter, the nights are getting longer and Summer is starting to fade. Of course, as I just mentioned, Fall’s arrival also means Oktoberfest biers and Oktoberfest celebrations. The Märzen/Oktoberfest style is probably my favorite style of Lager. Sure, a well made Pilsner is great on a hot Summer day, but I love the more toasty malt flavors of a good Märzen. If you’re also a fan of a good Märzen and other German/European styles (Hefeweizen, Dunkelweizen, Kölsch, Vienna Lager, Roggenbier, etc.) 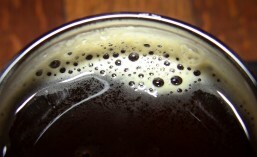 then you’ll want to mark your calendar for September 16th and this year’s Ballard Oktoberfest. This month is Pride Month in Seattle and across the nation. There are several Pride themed events happening around Seattle, culminating on June 23-25, when the Pride Parade, Seattle PrideFest, Trans Pride, and Seattle Dyke March & Rally will take place. Fremont Brewing Company supports Pride Month and cares about the safety and self-determination of the LGBTQ community. They also want to help foster an LGBTQ presence in the craft beer World. To that end, they are preparing once again this year to release their Pride Kölsch, which will arrive just in time for all of Seattle Pride Month’s biggest events. Sometimes, which breweries you tend to frequent will depend as much on location as it does on beer quality. This is one of the reasons I don’t get to a few of my favorite Seattle breweries as often as I’d like to. I work somewhat odd hours and live in the South end. So visiting any Seattle breweries that are farther North in the city requires a bit of effort on my part, largely due to our craptacular traffic. One of Seattle’s North end breweries that I don’t visit nearly as often as I’d like to is Naked City Brewery & Taphouse in Greenwood. Owner and head brewer, Don Webb, really enjoys his work, and it shows in the quality of beers Naked City continually puts out. I’m particularly fond of The Big Lebrewski, their award-winning White Russian Imperial Stout. One of the best ways I know of to help connect the people in a community is an outdoor social gathering, and what better social gathering than a beer tasting? Coming up this Saturday, July 23rd is the 10th Annual PNA Summer Beer Taste. I’ve been a fan of great craft beer ever since having my very first craft beer (a Red Tail Ale from Mendocino Brewing Company, if memory serves). However, I didn’t really immerse myself into the Seattle Craft Beer scene until sometime in 2010. Before that I was, of course, still enjoying craft beer, but my journalistic focus was geared more towards the console video game market. I used to operate a couple of console gaming review sites (focusing mostly on Xbox), which are now closed down. That means I haven’t been attending Seattle Beer Week for as many years as some of you out there. The first time I attended a Seattle Beer Week event (and actually knew that I was doing so), was back during Seattle Beer Week #4 in 2010, and the first Seattle Beer Week I ever wrote about was Seattle Beer Week #5 in 2011. Right now, that sure seems like a long time ago. Now, with 2016 upon us, we’re just one week away from the kickoff of Seattle Beer Week #8. That means it’s time once again for me to give you my picks for what sound like the best events at this year’s Seattle Beer Week, just as I’ve done each year since 2012.